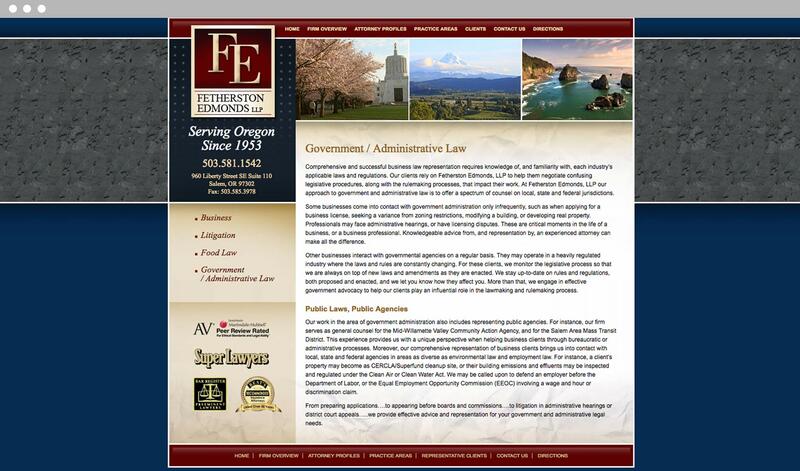 Fetherston Edmonds LLP is a law firm in the Salem area that has been in operation for over 60 years. Specializing in food, business, government law and litigation, they use their expertise and experience to thoughtfully represent their clients during all stages of the business lifecycle. 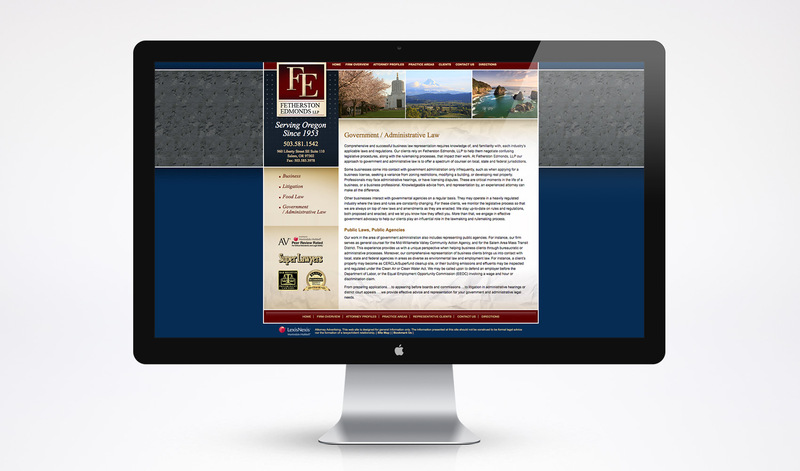 Fetherston Edmonds came to us looking to revamp their brand identity and website. They wanted to update their brand identity to look more modern. 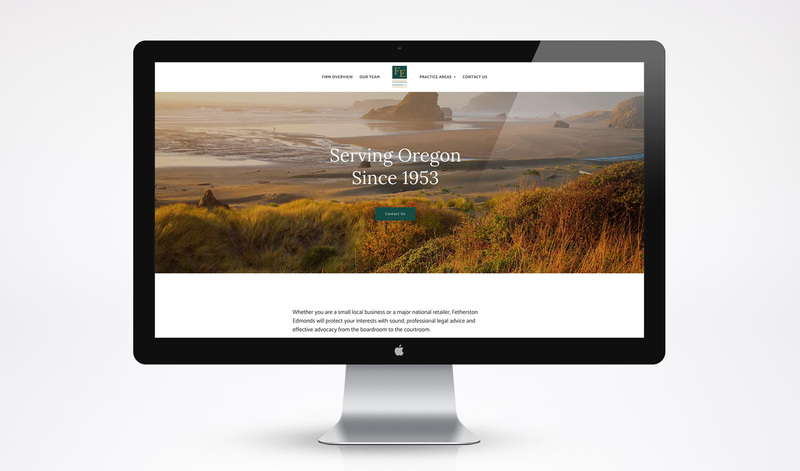 They wanted to redesign their site on WordPress to make it easier to maintain. Their current site was also not mobile-responsive. 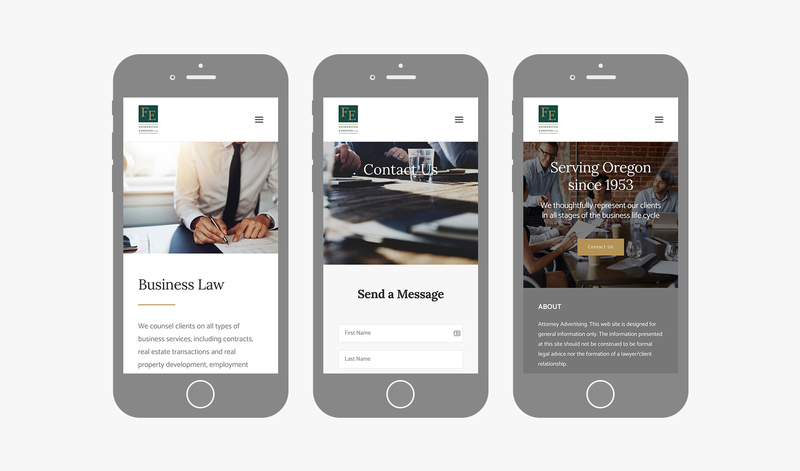 They were worried they were getting passed over in favor of less experienced and less qualified firms because of more appealing branding and current web design. 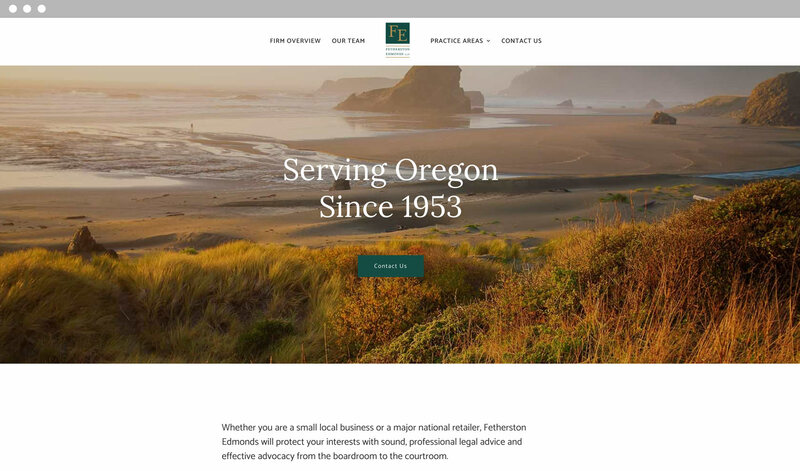 We worked with Fetherston Edmonds on a brand refresh and website redesign. 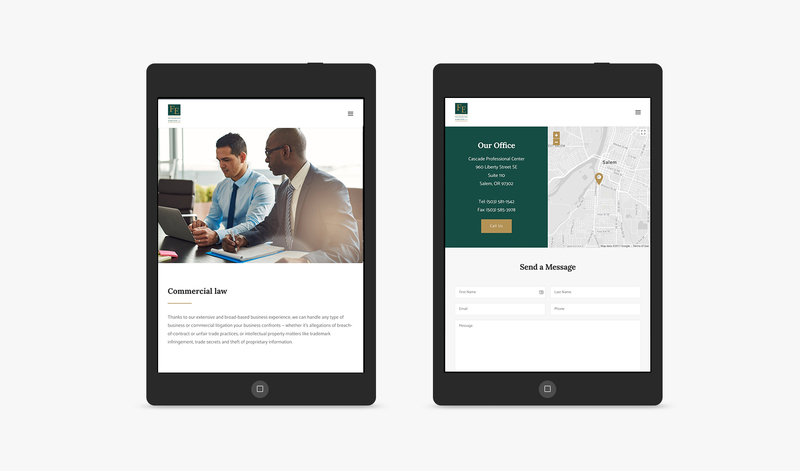 Being a known entity, they did not want to change their existing logo completely because they wanted clients and other law firms to still be able to recognize their visual identity. Therefore, we only completed a refresh–refining and not replacing their existing logo design. We also designed the refreshed logo as a vector, unlike the original logo which was a raster image. 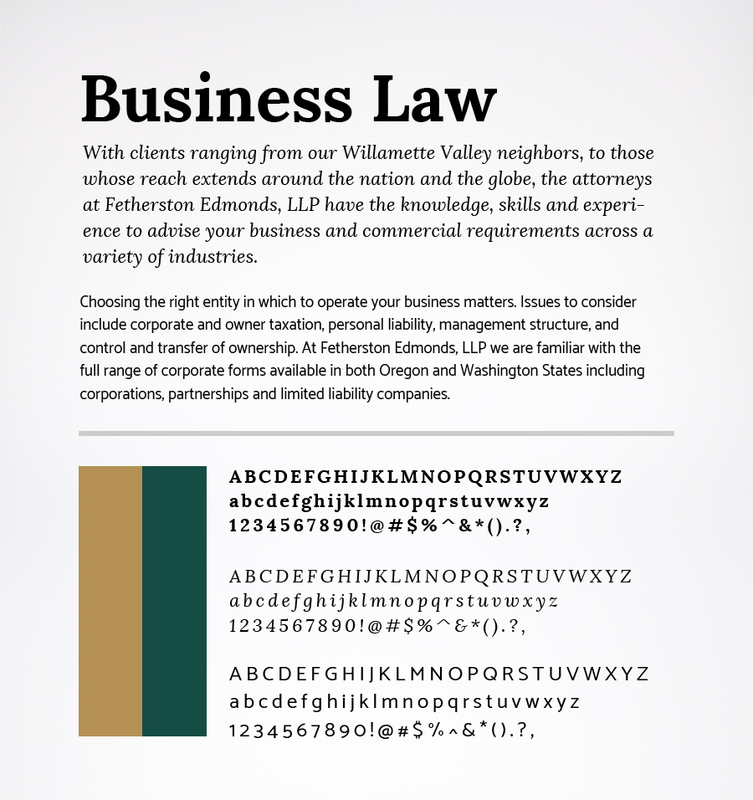 We changed their color palette and brand typography to communicate a more modern yet still conservative style. 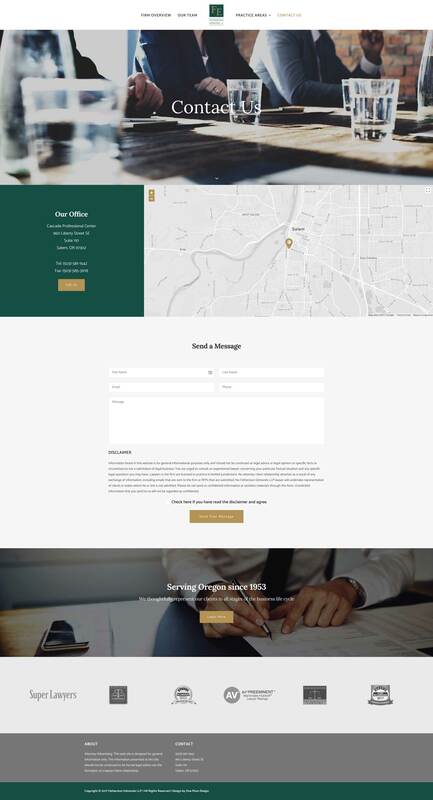 We agreed a total redesign of the website was best, crafting a new site that highlighted their experience, and created an interface that made it easy for users to navigate the site, learn more about the firm, and contact them from both desktop and mobile devices.